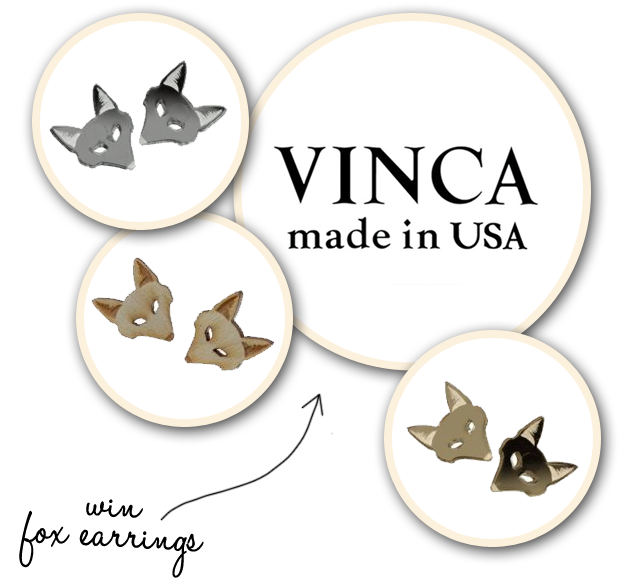 Recently I rocked these badass fox earrings (c/o Vinca USA) over at the Flock Together blog in a very peasant-like outfit and I'm in love with how whimsical they are. I don't often change up my choice in earrings since I have sensitive ears that don't do well with anything except my trusty gold pair, but I'll make an exception for these from time to time. And guess what? You can win a pair for yourself.